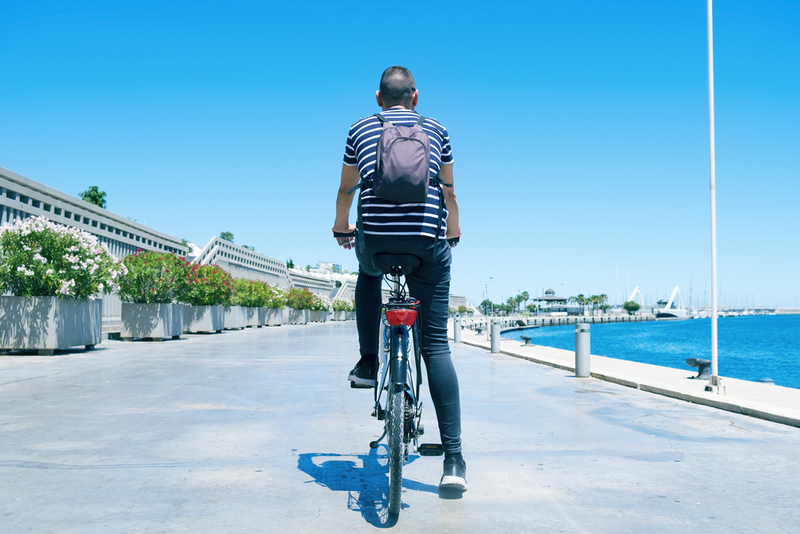 In May 2018, Valencia hosted a series of events on cycling and public space called València Ciutat Amable (‘Friendly City Valencia’). The title reflects the city’s strategy on public space, which should be accessible to all modes of transport and all walks of life. Cycling is a key component of this strategy. In December 2013, the City of Valencia adopted a Sustainable Urban Mobility Plan (Plan de Mobilitat Sostenible de València). Accessible and inclusive public space is a central theme in the city’s plan. It abandons the traditional focus of planning for private motor vehicles and gives increased prominence to pedestrians, cyclists and public transport. Five years earlier, the city had already started improving its cycling infrastructure. In 2008, Valencia City Council decided to increase the length of bicycle lanes in the city and to create a network of what, until then, had remained a series of unconnected cycle paths. To date, Valencia has installed a total of 145 km of cycle paths and 11 km ‘ciclocalles’, which are roads where vehicles should drive at a maximum speed of 30 km per hour, while giving priority to cyclists. Most cycle tracks in Valencia are two-way tracks, separated from motorised traffic. In addition to the cycle paths, an 8 km, car-free stretch runs through the Turia gardens, an old river course in the centre of Valencia. Improvements to cycling infrastructure initially concentrated on Valencia’s historical centre and its surrounding ring road, a stretch of around 5 km with high volumes of traffic. Figures on cyclist and motorised traffic flows in this area are displayed through a series of monthly maps on the website of the municipality, going back to May 2016. Besides infrastructure improvements, the City of Valencia also offers public bicycles through the bike-sharing scheme Valenbisi. Valenbisi now offers 2 750 bicycles that are distributed at 275 stations in the city. The scheme encourages the integration of bicycles into the transport system by positioning the stations at strategic locations in the city. The City of Valencia also encourages the combined use of bicycles and the metro. At weekends, bicycles can be taken on the metro without a supplement. The local administration has set up an agency (La Agencia Municipal de la Bicicleta) to coordinate and implement cycling policies, including the promotion of cycling and safety. Valencia City Council has sought support for its cycling policies through public participation and support to civil society groups. Since 2015, the municipality has run the Mobility Roundtable, a platform which gathers citizens, interest groups, local authorities and local businesses. The Roundtable is meant to encourage public participation and to enable the City Council to receive feedback on project and policy proposals. The Mobility Roundtable works alongside various sectoral round-tables, such as the ‘Mesa de la Bicicleta de Valencia’, which discusses cycling. The City of Valencia also supports cycling through support to civil society groups. For example, it supported the May 2018 event series ‘València Ciutat Amable’, which was organised by civil society organisations. The events discussed how public space and cycling can accommodate differences in gender, age, class and mobility, and how public space can accommodate their needs, including health, wellbeing, and access to goods and services. The Valencia City Hall also recognises local non-governmental organisations (NGOs) for their accomplishments, including Aula de la Bici (The Bicycle Classroom). For 10 years, Aula de la Bici has offered training for citizens with little or no experience of cycling. The NGO follows Una Bici Más (one Bike More), a training methodology aimed at different levels and different groups of people - families, children, adults, migrants and workers. A local network of women cyclists also organises workshops on, for example, bike mechanics for women, the use of journey planning apps and the promotion of cycling among women through art. Last year, the local NGO València Acull (Spanish: Valencia Acoge) organised Apoderament Sobre Rodes (‘empowerment on wheels’), a series of cycling lessons for 50 migrant women and women from disadvantaged backgrounds to increase their autonomy and mobility. The number of cyclists is being monitored and published on maps available on the Valencia municipality website. Local newspaper, El Diario, used these data to calculate the increase in cyclists on a popular stretch of road in the city – the ring around the historic centre. The newspaper calculated an increase of 30 % on working days between March 2017 and November 2017, and an increase of 11 % between May 2017 and November 2017. The newspaper concluded that the measures have also led to a reduction in motorised traffic within the inner ring. 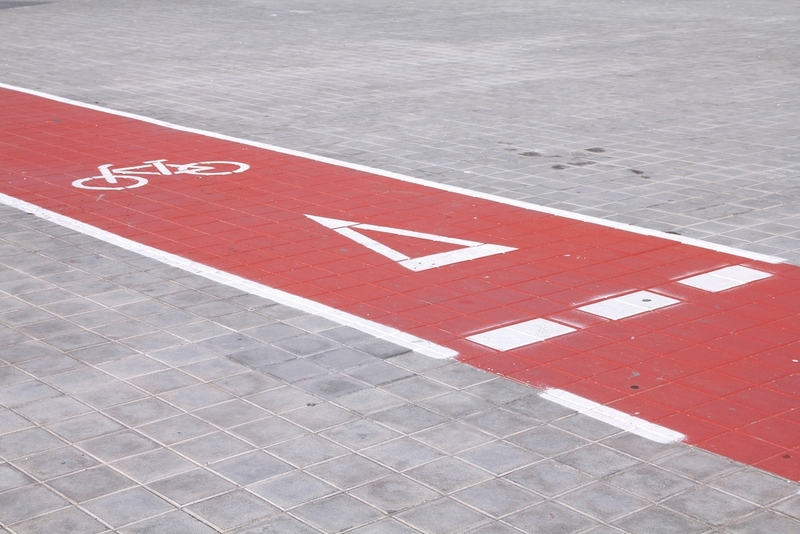 In December 2017, the Valencia City Council announced a new set of measures and objectives to improve cycling infrastructure and parking facilities. This includes the construction of nine additional cycle paths totalling 12 km to improve connectivity. Local campaign group, València en Bici, remarked during an interview for El Dario that, despite the progress, there is still a need to better connect neighbourhoods. It also identified some locations where safety should be improved. 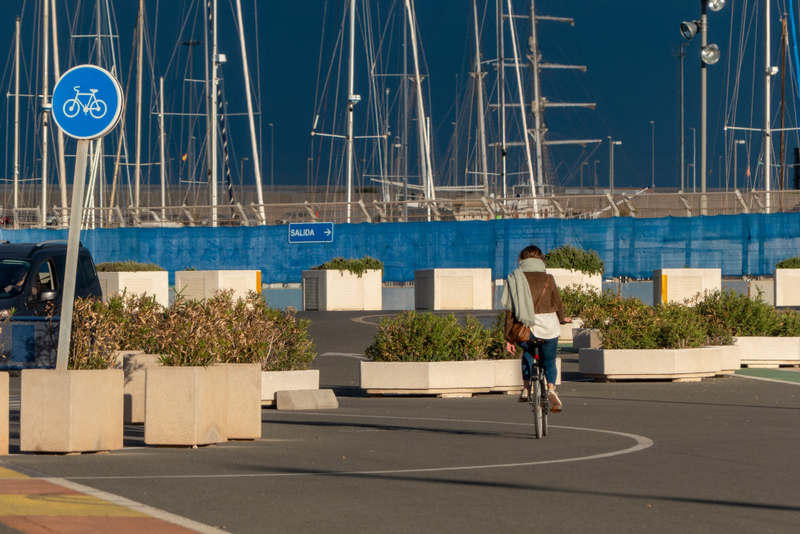 Recent research by the Universitat Politècnica de València, based on official data, found that many districts in Valencia still lack a connection to the cycle paths. A researcher, Benjamin Arroquia, noted that some peripheral districts ‘have little accessibility by bicycle’. The most notable examples are the neighbourhood of los Poblados del Sur y del Norte, which Arroquia writes ‘are clearly disadvantaged’. On the contrary, some neighbourhoods, including the central districts El Ensanche, Ciutat Vella and Pla del Real, have ‘an excellent network of bike lanes’, but their connections with other neighbourhoods are intermittent. Arroquia warns against creating a two-speed city with worse connections to poor and remote districts.